When we think of art and decorating our homes, we usually think of what we can hang on our walls or place on our shelves. 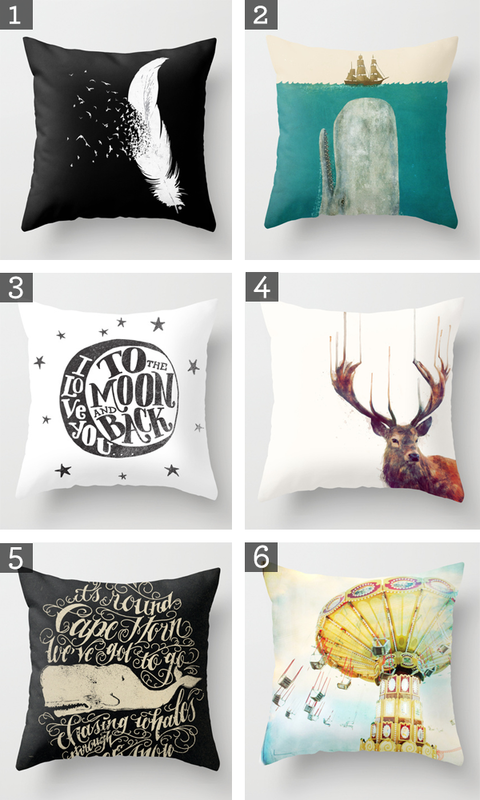 But one great way to bring art into your home is to introduce it as throw pillows. One of our favorite sites it society6.com because they have an amazingly diverse collection of art. What's great it that they offer most on more than just prints. And one of their newest and best ideas was to offer art as throw pillows. You should really check all of them out. But to get a small sampling, take a look at some of our favorites.